As a lifelong researcher, Dr. Botkin has carried another passion within him: to create a vivid and well-crafted novel. 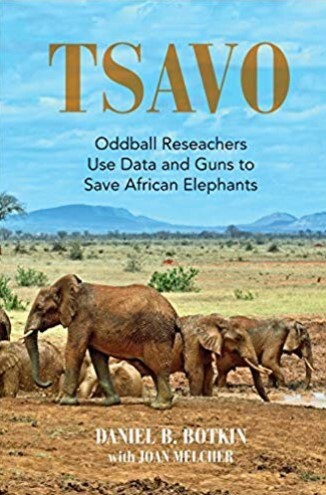 On August 17, 2018, that dream would be realized with the publication of Dr. Botkin’s first novel, “Tsavo: Oddball Reseachers Use Data and Guns to Save African Elephants.” The book was created over 20 years, using Dr. Botkin’s own firsthand knowledge of African elephants to enrich the story and add just the right amount of detail. Listen in to hear more about Dr. Botkin’s novel and the stories and characters that helped to shape it.